I’m obsessed with liquid lipsticks! Pure and simple! Their staying power is like no other and I’m a sucker for a true matte lip. 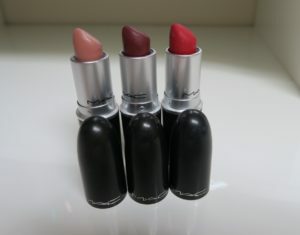 What I’m not a fan of however, is having mainly liquid lipstick (although weather tends to hate my lips too sometimes!) induced overload of dryness and cracked, flaky lips! Some brands are better and some worse in terms of drying, it’s the nature of the beast unfortunately, but with so many gorgeous formulas and endless colour options available on the market now…with proper prep and regular lip care, beauty doesn’t have to mean pain (or discomfort at least…I was a bit dramatic there, ha ha)! I’m just thinking actually…I’ll should put a post together about my favourite brands and my own collection, this will follow at some point! I do like to experiment, use different liners and combos of colour/ product on my lips etc, but the majority of the time, I will admit, I’m lip lazy! If like me, you are too and much prefer spending more time and effort on your face/ eye makeup, but still want to wear something more than a balm or slick of gloss, a liquid lipstick might just be the ticket! Something you can apply and pretty much forget about! If you’re liquid lip savvy, they can become a staple, much loved and much used addition to your makeup bag. The ultimate low maintenance and just so happens to be super pretty, lip, that will see you through the day (or night). These guys are amazing! Yes they mainly just consist of sugar in a hydrating oil base, but they smell so good and are way more portable/ easier to store than the homemade alternative in my opinion. For exfoliating and smoothing your lips, not just in preparation for liquid lipstick and other colour products they also allow your lip balm to sink in properly and more evenly too! 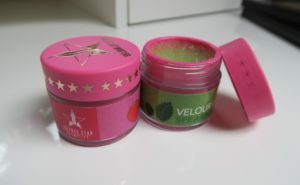 I love the Jeffree Star Cosmetics Velour Lip Scrubs! (Available at Cocktail Cosmetics) Great choice of flavours – Strawberry Gum, Root Beer, Spearmint, Mojito and Pumpkin Spiced Latte! They retail at £9/ approx €12 for 30g and are Vegan, 100% cruelty free, paraben and Gluten free. Lush also do a good, slightly more budget friendly alternative, coming in at £5.50/ €6.95 for 25g. These are applied (a little) to the lips and rubbed in circular motions. Both the Jeffree Star and the Lush scrubs are edible (yum! ), so excess can then be either licked away or wiped off with a tissue. I definitely use this if I’ll be applying a liquid lipstick, but I also try to use it regularly anyway too, usually once every other day. Goes without saying really doesn’t it and who doesn’t probably own fifty million of these things of varying types and flavours, ha ha! I own/ occasionally use others, but the best balm, by far, that I have tried and been using religiously since I was about twelve, is the Soft Lips SPF20 Lip Balm (affiliate link). 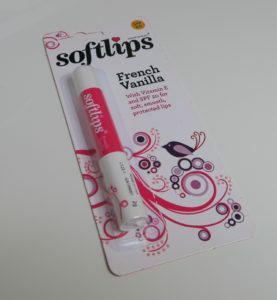 Love the French Vanilla and the Mint varieties, hydrating and leave your lips feeling super soft and not greasy. Inexpensive too. Of course, as per normal…apply these liberally and as frequently as you like, especially when outside as sun protection. If you are going to apply a liquid lipstick after this, make sure the excess is removed with a tissue. + Heavy Duty Lip Sorter (technical term, ha ha)! Ok…so this comes in the form of Blistex Relief Cream (affiliate link), my not so secret lip care weapon! I recommend it to everyone who will listen. Inexpensive (I’m talking around the £2.50/ €3 mark) and pretty much the only thing that will sort my lips back to a state of normality if I’ve somehow still managed to let them get chapped or if I’ve seriously OD’d on liquid lipstick wear! It’s healing and has a protective formula and I personally notice slight plumping of my lips when I use it too…that is stated on the packaging as a ‘may cause’ and as slight warning, but I say bonus, it makes lips look and feel great! Amazing! I use a tiny bit of this every day, once if not more and apply it after using my scrub and before liquid lipstick. Again, similar to the lip scrub, there are homemade alternatives, you could use regular coconut oil on a tissue or wipe, but I’ve found something more portable as well as being just as, if not more effective. The LA Splash Cosmetics (they make some of my fav lipsticks too!) 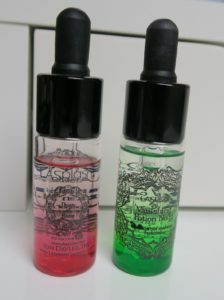 Vanishing Potion No33 is my go to! It actually removes all waterproof makeup, but is mainly designed for liquid lipstick removal. I use both the Dose of Rose (affiliate link) and Coconut Concoction (affiliate link) and they leave your lips feeling so smooth and hydrated as well as gently removing every trace of liquid lipstick. I apply 3 to 4 drops on to a cotton pad and hold over my lips for about 30 seconds before wiping away. I also use a drop on a Q tip or clean angled brush to tidy any edges! Now this sounds a bit unnecessary considering I’m focusing on liquid lipsticks here, but hear me out…liquid lipsticks are amazing and ultra long wearing, but depending on the formula you go for and the food you eat at lunch/ dinner (oilier foods will effect the product more) you will nearly always get slight wear in the centre of the lip. Most liquid lipsticks don’t touch up well in my experience and for a perfect finish, they would need to be fully removed and reapplied, something I (and probably most of you guys) don’t have time for! My solution to this…taking a regular lipstick in your favourite formula, from your favourite brand in a similar colour to your liquid lipstick in your bag, this can then be used to touch up if needed, applies great over the top and adds a hit of moisture. Simple, but effective and definitely a time saver! I find all my own favourite liquid lipstick brands actually design perfect applicators suited to the product and am able to get a really precise edge and finish. If you struggle to apply or get the shape you want, a lip brush is great for a little more control and precision. The lip brush I prefer to use in the MAC Cosmetics 316 Lip Brush. It has small, flat and firm fibres, has a tapered tip for a controlled application and also has a cover, so is way more makeup bag/ handbag friendly than others.